CONGRATULATIONS TO KAKA AND SVETLANA ON THEIR WEDDING! 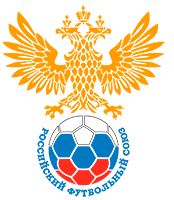 On March 23rd youth teams of the “Moscow and Moscow region” area played their final matches of the 30th round of the championship of the 2015/16 season. Let us remind you, that on April 6th starts the open Cup, it is the second tournament among youth teams of the “Moscow and Moscow region” area.